The 2019 race will take place on February 16, 2019 at Johnston Woods in McDonald, TN! Registration is NOW OPEN! The Terra Trail Marathon, Half Marathon and "Half-Half" (6.x mile) trail race will take place on Saturday, February 16, 2019 at 8am, at Johnston Woods Retreat Center in McDonald, TN (298 Brymer Creek Rd. McDonald, TN 37353). The course utilizes a ~6.55 mile loop, so the full marathon is 4 loops, the half marathon is 2-loops, and the “half-half” is a single loop. The course is a mixture of beginner single track, gravel road beds, and slightly more challenging single track. This is a winter-time race so the weather is unpredictable! We may have snow, rain, mud, heat, frigid temperatures, or some combination! Or, we may have a beautiful 40 degree sunny winter day. The course conditions may be excellent or may be a tough slog. This is part of the challenge so embrace the elements! The race is staged at Johnston Woods retreat center with access to indoor restrooms and a climate controlled building for pre and post race! We recommend bringing a pair of sandals, flip flops, or slip-on shoes for pre and post race as we have a “no trail shoes in the lodge” rule. We are lucky enough to use the awesome venue, but we need to do our part to keep it looking nice! The half marathon will pass through at least 3 stations (one mid-way through each loop and one as you start the second loop). The half-half will pass through one aid station. The marathon will pass through 5 aid stations. Aid stations will be stocked with water, electrolyte drink, gels, and various snacks that we think would taste good such as M&Ms, salty chips, and pretzels. We encourage runners to utilize a handheld bottle or hydration pack that you can refill at the aid stations to cover the distance between aid stations. The time cutoffs listed below will be enforced. If you are in doubt, we encourage you to move down in distance (cutoff paces/mile are faster for longer distances). If you sign up for the marathon and are over 3:30 at the end of 2 loops, you can continue to loop 3 or go to the half marathon finish and be scored in the half marathon. 5:15 to start loop 4 is a strict cutoff. We do not recommend this as a first-time marathon unless you are experienced and well trained. It is a challenging course with potentially challenging weather elements and less aid/support than a road marathon. We want you to have a great experience and enjoy the trails! Full Marathon: 7:00 Finish, 5:15 to start loop 4. All finishers (all 3 races) will earn a tremendously awesome finisher medal. All registrants will receive a sweet commemorative shirt. Full marathon finishers will receive an extra awesome reward! The 2018 shirt and medal are shown here…hold your breath for the 2019 reveal! Awards will be given to the 1st place overall male and female finishers, as well as 1st place in the following age groups in each event: 9 and under, 10-19, 20-29, 30-39, 40-49, 50-59, and 60 and over. The race will be professionally chip-timed by Terra Running Company with immediate online results! A split mat in the middle of the loop will provide live split times throughout the day for our full and half marathon runners. Due to parking and the size of the trails, we have a firm cap on this event and expect it to sell out early! Preregistered packet pick up will be at Terra Running Company from 11:00-6:00PM on Friday, February 15, 2019, as well as race morning from 6:45-7:30am at Johnston Woods Retreat Center (298 Brymer Creek Rd. McDonald, TN 37353). The average low temperature on race day is 31 degrees and the average daytime high is 54 degrees. However, being February, it may be significantly colder or warmer. There is a possibility of cold rain, snow, or ice. We will run in any weather unless there is dangerous conditions on the roads (ice). In the unfortunate event of a dangerous weather event, we will make an attempt to stage the race on another weekend in February. 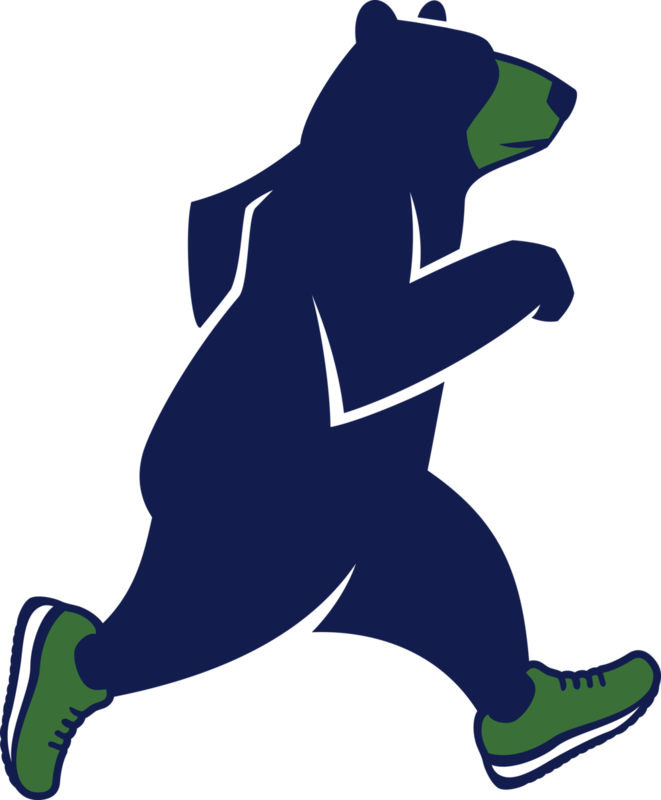 In this case, runners would also have the option of transferring to the Bear Claw Trail Race in June if they are unable to run the make up date. Due to the nature of producing events, all of our costs are incurred before the event takes place and before the weather is known, so no refunds will be offered. By registering, you agree that you are knowingly sharing the risk (and benefit) of a winter-time off road event. Thank you runners! What an awesome first year! Searchable results for 2018 are below. Click here for mobile-friendly results.